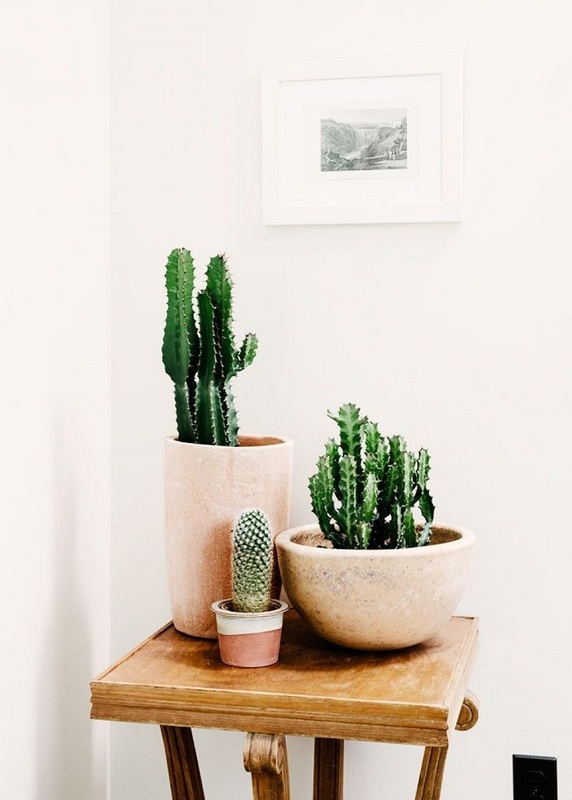 A houseplant is more than just another home accessory that adds a splash of color to the interiors: they clean the air and bring life back to boring, bland, and featureless rooms. But if say, you don’t have the time or experience caring for plants before, what are your options? Here’s a great idea: why not get low maintenance houseplants to add an interesting dimension to your microapartment? The good news is, there are so many forgiving houseplants available at your local plant nursery. Go right ahead, arm yourself with information so you know what to expect once you’re ready to get a plant for your home. IMPORTANT: Some of these houseplants are not ideal for homes with children or pets. 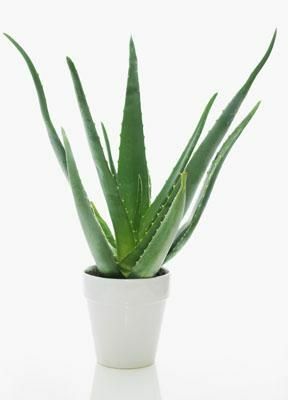 With its fleshy, spiky plump leaves, aloe vera (aloe barbadensis) is an incredibly low maintenance houseplant. It could survive infrequent watering and low light conditions. In fact, aloe vera requires watering in as little as every two to three weeks! This succulent plant is also compact; you can grow one in a teeny tiny pot or a medium pot, depending on the size of the plant. It doesn’t need high humidity environments to thrive. However, the aloe vera plant is happiest when placed in a well-lit spot but away from direct sunlight. 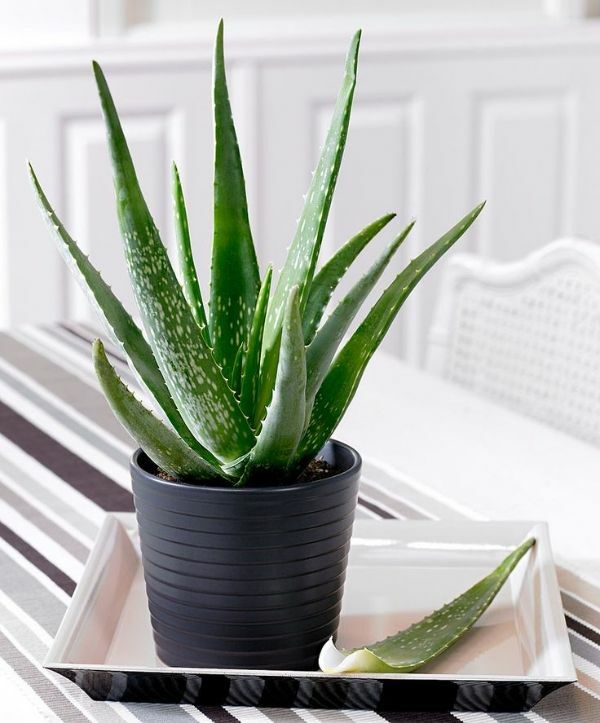 Best of all, you can use the aloe vera for a variety of purposes other than making your microapartment look good. You can use the aloe vera gel to soothe burns and heal cuts. You could also mix the gel in your favorite smoothie for a nutritious punch. 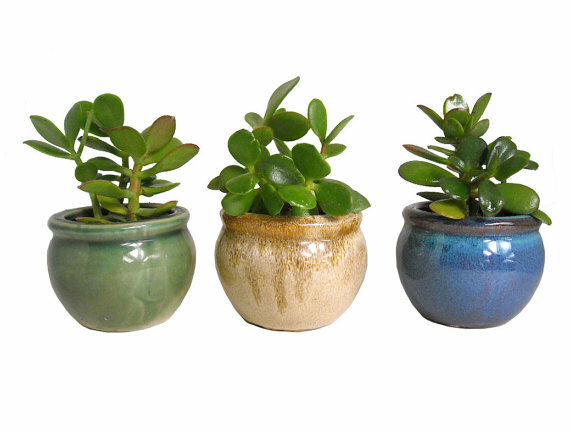 The Jade plant (crassula ovata) is a beautiful houseplant popular for its hard-to-kill properties. The plant is distinct for its waxy leaves and a thick trunk. 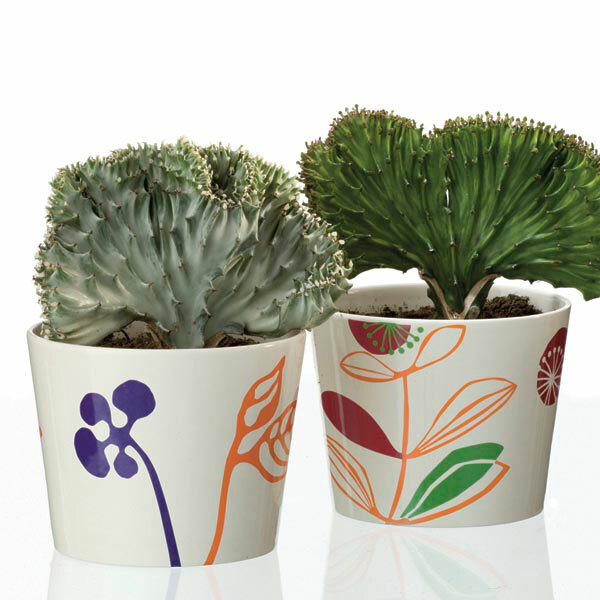 This succulent plant can survive most indoor conditions. It requires minimal watering and maintenance. Suffice it to say, this houseplant is one of the most easygoing plants there are. Because the Jade plant looks similar to a bonsai – both in size and appearance – it is quite compact so it’s ideal for a microapartment. Controlling the frequency and amount of water is also important to keep the plant from growing too big. Although this plant is forgiving, it needs plenty of sunlight to keep its foliage healthy. I suggest placing this near the windows for maximum sun exposure. Also, please note that the jade plant is not ideal for homes with pets. Also known as Devil’s Ivy or Silver Vine, the Golden Pothos (Epipremnum aureum) is a climbing plant with delicate arrow-shaped leaves. 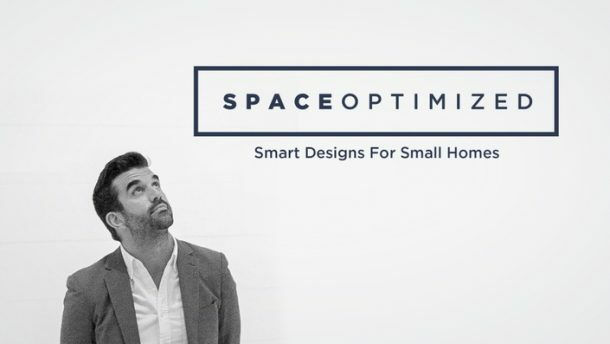 It can grow up to 39 inches long so it’s perfect as an indoor plant for a microapartment. 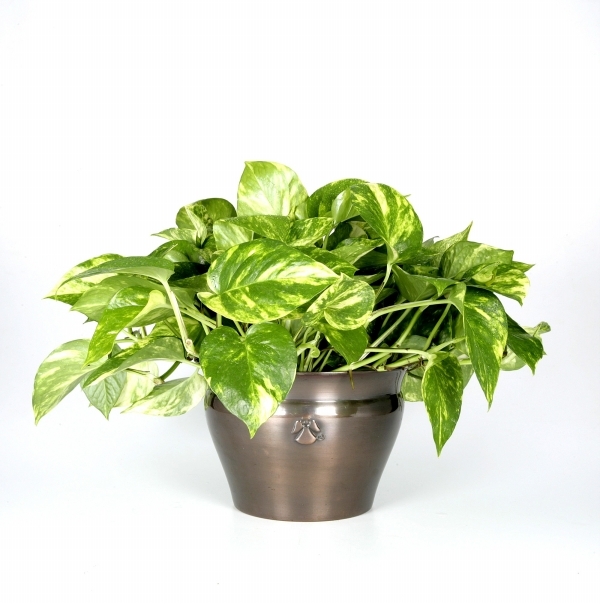 The Golden Pothos is a fast-growing plant so you have to trim the leaves regularly. This plant could survive harsh weather conditions including cold snaps and dry climate. To care for this plant, place it in a shady spot, away from direct sunlight. Too much sunlight will burn and discolor the leaves. Because this plant could survive a high degree of abuse, you don’t have to water it often. In fact, watering the plant too often could cause its roots to rot! Fertilizer is optional and added only if the soil quality is poor. Do note that some states do not allow growing Golden Pothos outdoors because it is an invasive species. 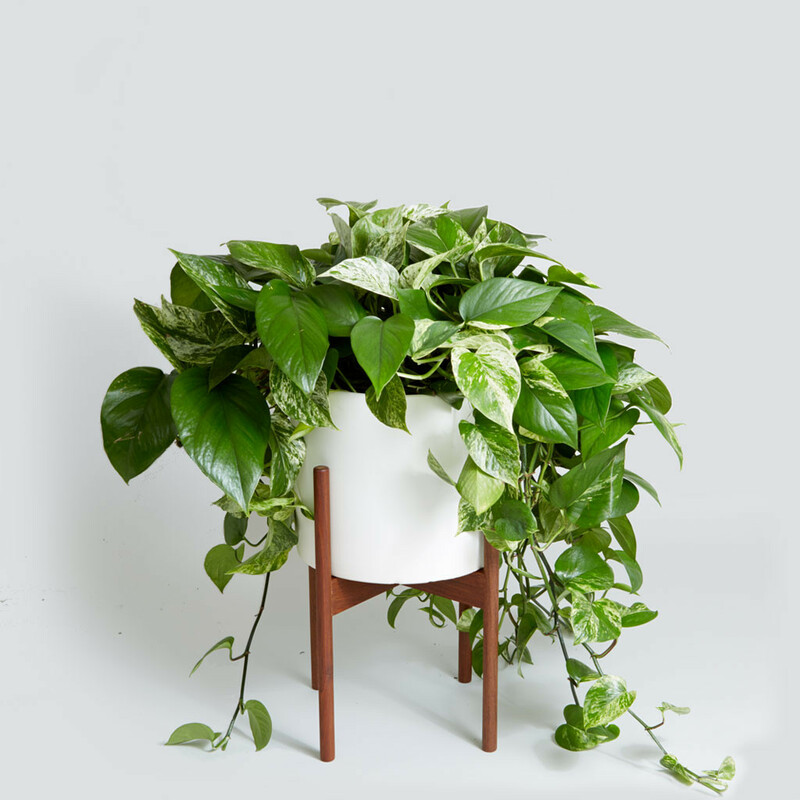 In addition, the Golden Pothos is not ideal for homes with pets. 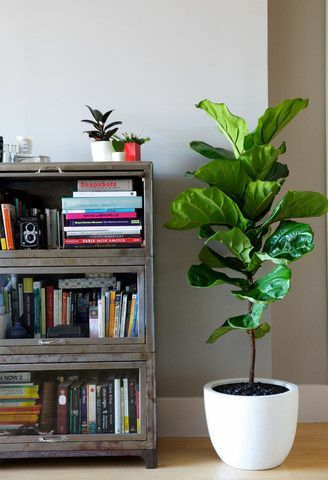 If you’d like a medium-sized plant that looks a lot like a full-grown tree, get the rubber tree plant (Ficus elastic). This plant has striking, bright green leaves and a thin trunk. The plant starts out small, about 1 to 2 feet in height so it’s a great centerpiece on a table. But once it grows to 3 feet, you can place this stunning houseplant next to a fireplace or door entrances. 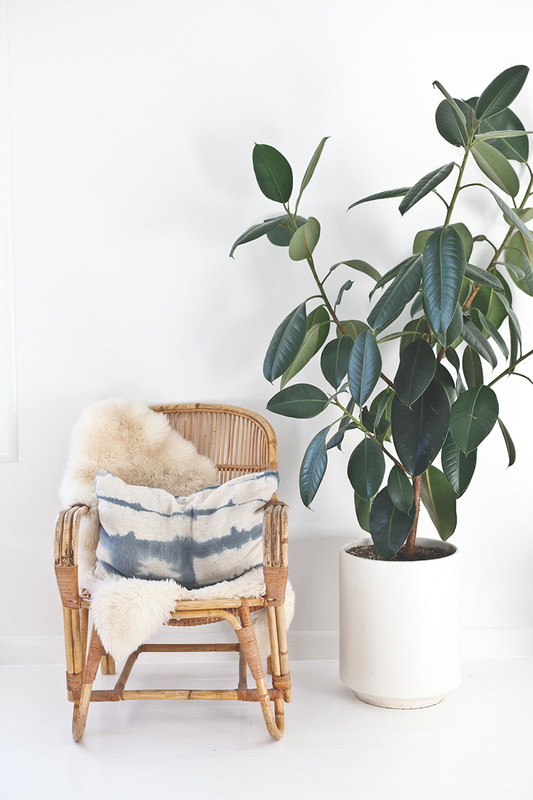 The rubber tree plant is extremely easy to care for. It thrives in low light conditions and requires occasional watering only. In fact, the worst you can do is to over-water the rubber tree plant or expose it to direct sunlight. 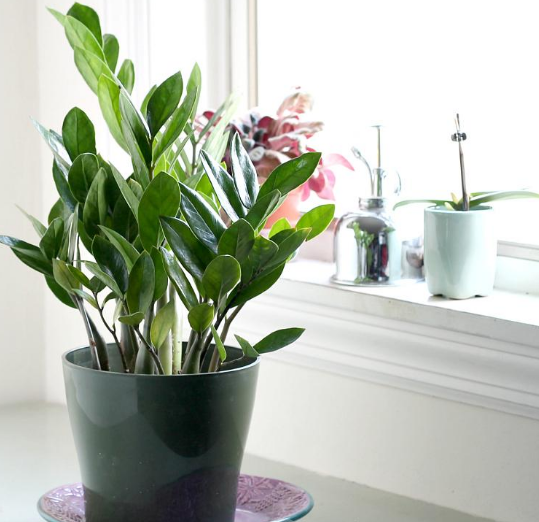 This plant is best placed in a bright spot with average indoor temperatures. Although the rubber tree plant prefers high humidity environments, it could survive low humidity conditions. Just mist the leaves regularly to avoid brown spots. Flaming Katy (blossfeldiana), also known as kalamchoe, is a tropical succulent with fleshy leaves and red, yellow or lilac blooms. 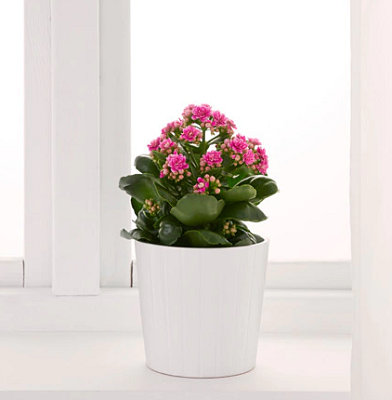 This compact houseplant can be kept in a hanging basket or a pot, whichever works for your space! This plant owes its popularity to its beautiful blooms and you could coax the plant to bloom at any time of the year by pruning the existing flowers. Taking care of flaming Katy is virtually effortless. It could even withstand a little neglect. It’s a tough plant that could live in different lighting conditions and requires minimal watering. Flaming Katy doesn’t require misting and will thrive in normal indoor humidity. English Ivy (Hedera helix) is a decorative evergreen known for its lobed leaves and romantic, trailing vines. 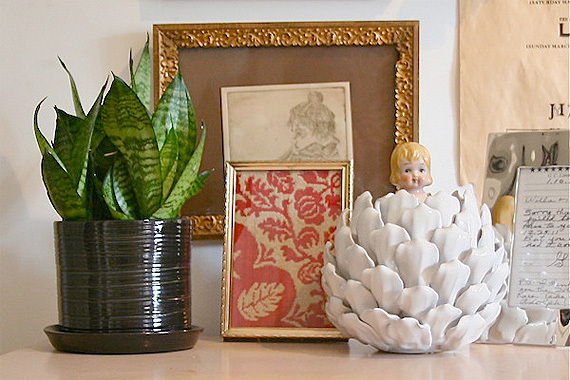 This plant is often used as an accent piece because it adds texture to a space. The English Ivy can be kept indoors or outdoors. 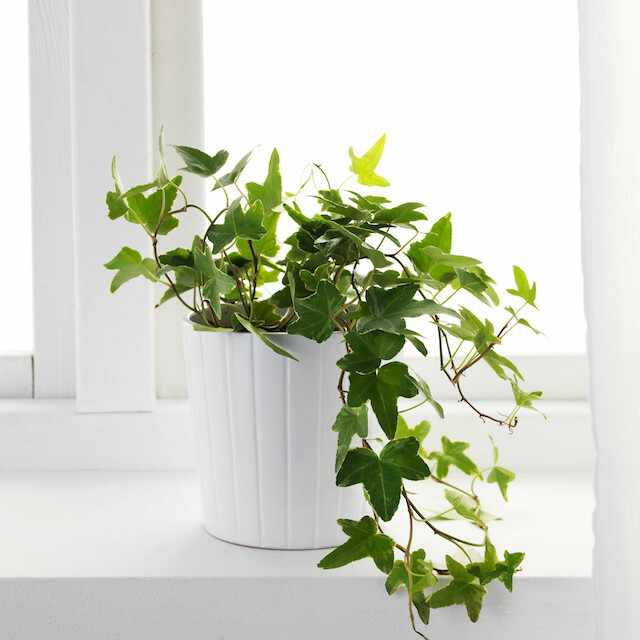 But because this vine loves cool temps and damp air, it will thrive indoors particularly in the bathroom. That said; do not expose the English Ivy to high heat and drafts to maintain its lush foliage. The English Ivy is low maintenance, just place it near a bright spot and keep the soil nice and damp. This plant requires pruning to keep its shape as well as weekly misting. 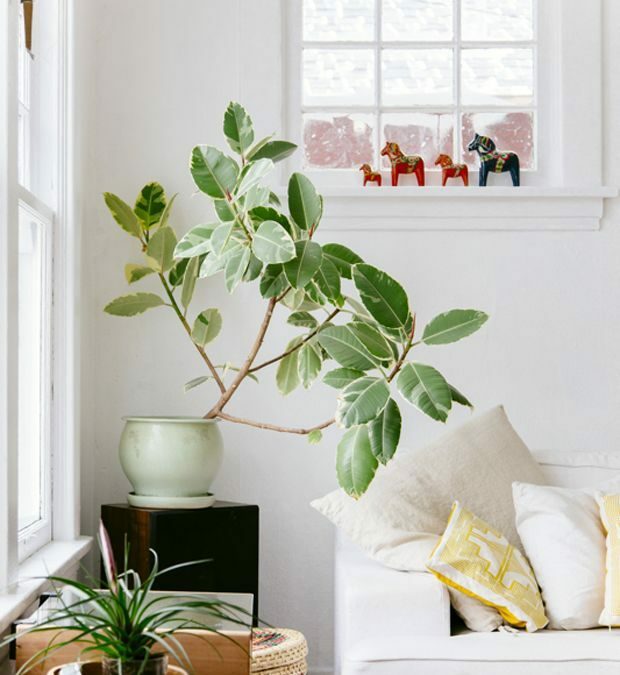 We’ve featured this popular houseplant in the past and it deserves a shoutout because the ZZ plant (zamioculcas zamiifolia) is so hardy, it’s almost a challenge to kill it. It tolerates low lights with ease, even neglect. This houseplant is also known as the eternity plant because it’s so tough, it could survive any indoor environments. As with most succulents, ZZ plant requires minimal watering. 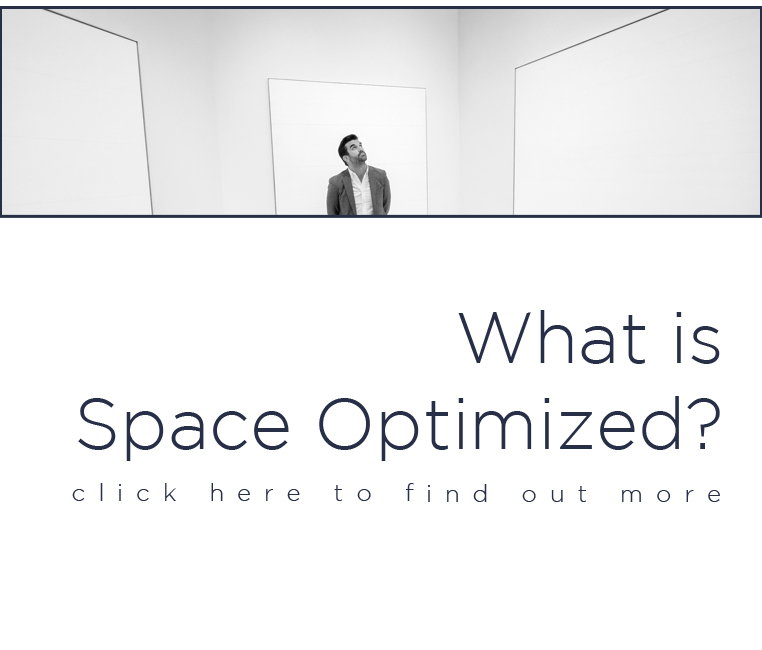 It could tolerate bright, low lights and varying humidity levels. It’s a slow grower so, with minimal watering, the ZZ plant won’t grow too big. To keep its beautiful foliage healthy, cut any yellowing leaflets near the base of the stem. Do note, the plant is toxic to pets or children when eaten. Native to West Africa, Fiddleleaf fig (Ficus lyrata) has semi-lobed leaves and a thin trunk. It’s often grown in greenhouses and conservatories so the Fiddleleaf fig makes a great indoor plant. As with most low-maintenance plants on this list, the Fiddleleaf fig could survive low and high lighting conditions. It requires minimal watering and normal humidity. To keep its foliage healthy, place this plant in bright spots, away from direct sunlight. The Fiddleleaf fig is perfect as an accent piece in the hallway, doorway or next to a fireplace. 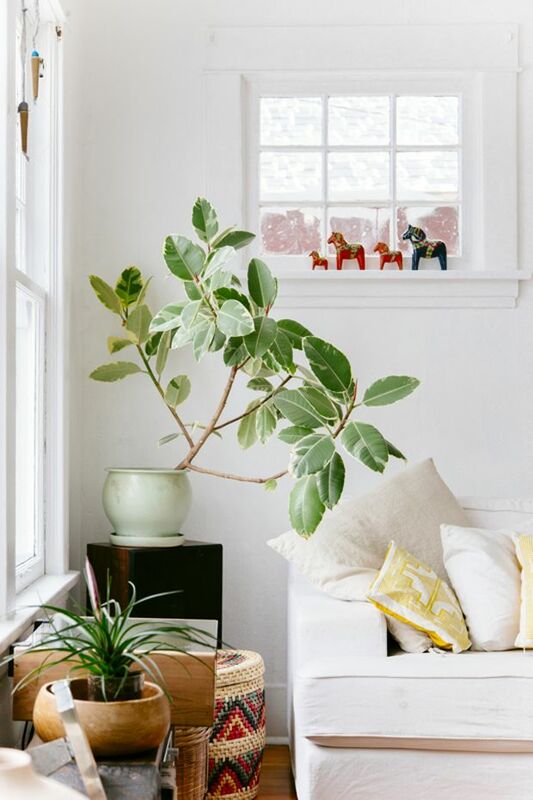 And to make sure the Fiddleleaf fig fits your microapartment, prune the leaves when the foliage gets a little out of control. The snake plant (Sansevieria trifasciata) is a flowering houseplant with thick, leathery leaves that grow vertically. This popular indoor plant is compact and slow growing so it’ll suit small spaces, perfect for city dwellers. Even better, it can tolerate high and low lighting conditions as well as neglect. The snake plant requires minimal watering and the only real way to kill it is by over-watering. Overwatering could cause the snake plant’s roots to rot so the soil should be kept dry to the touch at all times. This goes in between watering too. If you’re looking for a virtually indestructible plant, get the snake plant. If you’re looking for a unique plant that’s a cinch to care for, check the coral cactus. This houseplant looks a lot like a head of cabbage with its crinkly leaves and thick, green stem. Despite its name, the coral cactus is not really a cactus at all, it’s a succulent. Since succulents hold a lot of water in their leaves, they require infrequent watering. The same thing can be said for the coral cactus. This carefree houseplant thrives indoors. It could tolerate low and high heat as well as warm conditions. It’s a great houseplant for a centrally-heated microapartment. To keep its foliage vivid green, place this plant in a bright spot.